On Saturday, the 19th of November, 2016, the Eleventh batch of MPOWER -the Management Development Program for the next-gen Youth Transport Entrepreneurs - was launched at the Indian Institute of Management, Ahmedabad (IIMA). MPOWERXI concluded on 26th November, 2016. 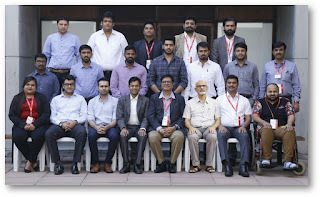 This batch had 13 participants. 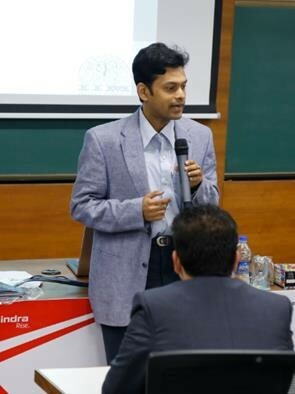 While we received 32 confirmed nominations, the final attendance dropped to 13 delegates due to the impact of Demonetisation on the transport business, with 19 candidates withdrawing to deal with the consequences of Demonetisation on their business. 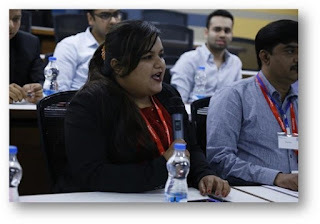 But even with 13 delegates, the enthusiasm and participation level was immense and the profile of delegates was fabulous and unique. 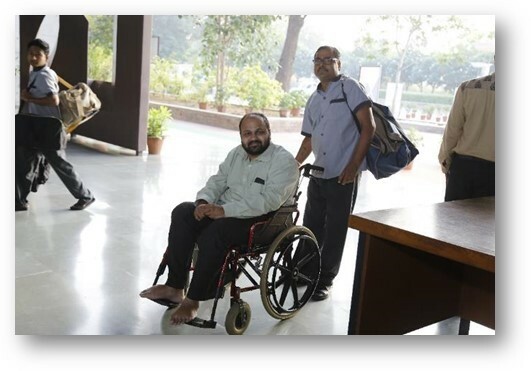 This was the first batch where we had a differently abled participant, Mr. Chetan Lodaya from Chetan Road Carrier. 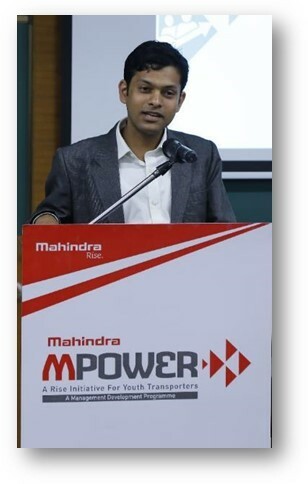 The guiding philosophy of the program is empowering the next generation of India’s transporters/fleet owners to “Take forward their family business with their OWN vision”, as propounded by Mr. Anand Mahindra while launching the program on the side lines of the Mahindra Transport Excellence Awards ceremony on 9th Jan ’13. Speaking on the same occasion to the media, Mr. Nalin Mehta –CEO - MTBD had also stressed that MTBD wants to “walk the talk” that we initiated when we urged the next generation of transporters to join their ‘Papa ka Business’ in our TV-led mass media campaign more than a year ago. 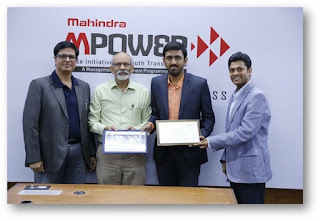 MPOWER program is growing from strength to strength as our signature initiative in the Indian Transport industry. 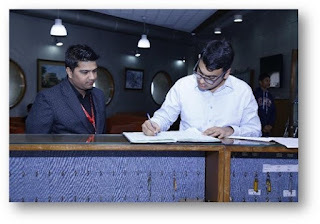 In terms of numbers, with this batch we have involved 291 next-gen transporters who together own over 59,300 trucks (and utilise at least 50% of this number in addition from the market), with a combined turnover of Rs. 24,900 Crores employing over 66,500 people. 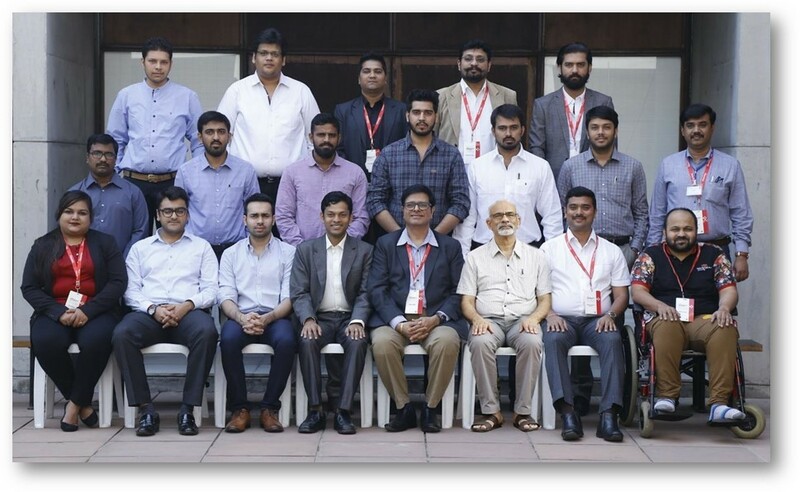 For MPOWER XI, 13 young transport entrepreneurs, chosen by invitation and belonging to some of the finest transport companies of India, checked-in for the 8 days’ course which is aimed at professionalising the Indian transport sector in the long run. 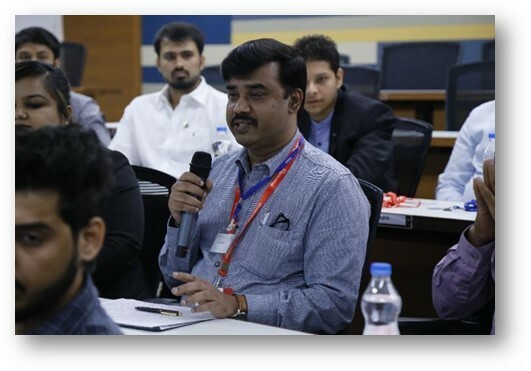 A course that has been specifically designed keeping the transport sector issues in focus. Eight highly accomplished faculty members of IIMA are running the course that covers subjects like PROFESSIONALISM, BUSINESS PLANNING, MARKET & SEGMENTS, HR PRACTICES, SERVICE QUALITY, FINANCIAL MANAGEMENT & ACCOUNTING, SUPPLY CHAIN MANAGEMENT, LEGAL AND REGULATORY, INFORMATION TECHNOLOGY, INDUSTRY FOCUSSED SESSIONS. 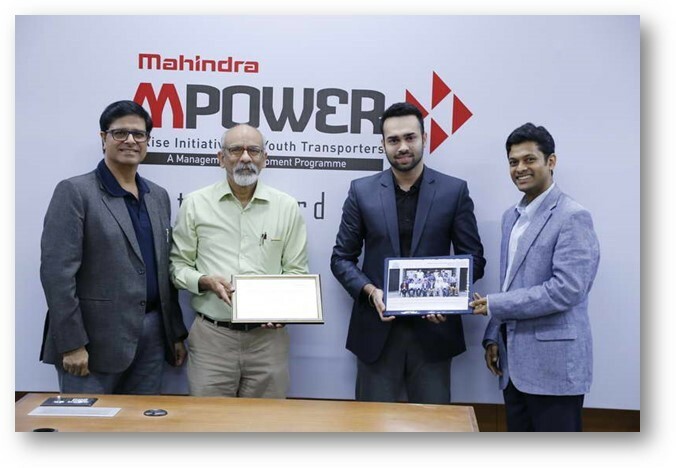 Snapshot of the MPOWER XI: 13 Participants; Average age- 28 years; From 12 Cities, 13 Load Segments/Applications (Dry Bulk, Parcel, FTL, LTL, Liquid Bulk, EXIM Containers, FMCG, Consumer Durables, Electronics, ODC & Project Cargo, Multi-modal, Finished Vehicles Transportation, Tire Transportation, Sugarcane Transportation, Cold Chain Logistic, Warehousing); Cumulative turnover of Rs. 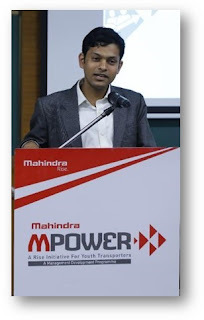 1,440 Crores; owning over 1,950 trucks. Please find below the photo report of the inaugural and Valedictory session at IIMA. The past 10 batches of MPOWER were a huge success not only in terms of an emotional connect with the next-gen transporters but also in terms of bringing our business and offerings in their focus and also helping start a business relation with many of the people who attended. 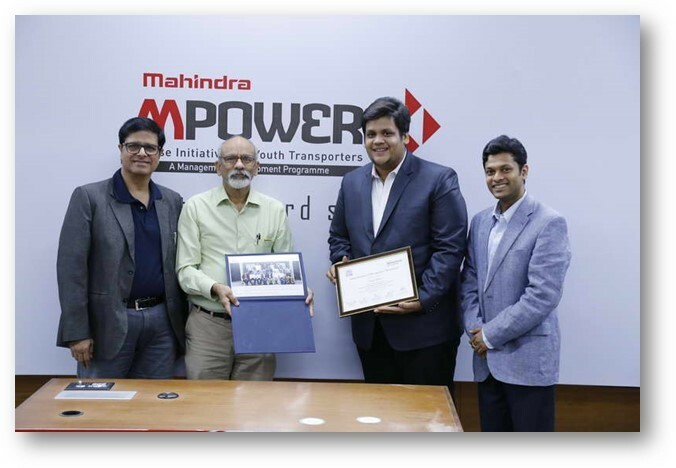 This successful engagement has motivated MTBD to reinvest in driving a positive change in the transport ecosystem while nurturing our business interest. We are confident that this program too will be a grand success and strengthen our brand even further, along with other initiatives like the Mahindra Transport Excellence Awards. 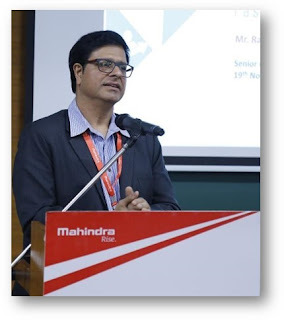 All these initiatives will help MTBD connect with various constituents of the Indian transport ecosystem at both rational and emotional levels, which can be leveraged to build a strong market presence for Mahindra Trucks and Buses Division. 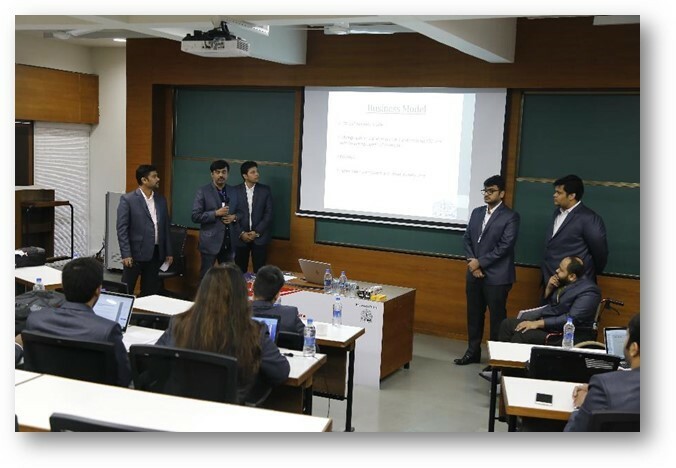 The proceedings began with two groups of 6 & 7 participants respectively, each presenting their Integrated Case Study. Each Group had only 15 minutes to present their case. 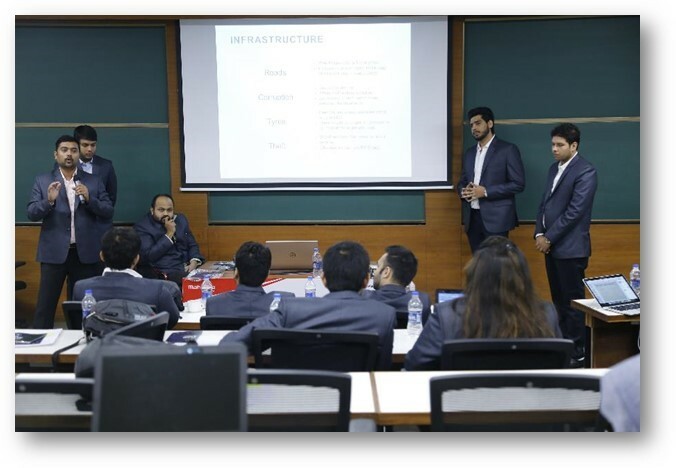 After their presentation of challenges on the transport industry, the professor had requested their views on demonetization. There were mixed views, they all supported demonetization as most of them were already moving towards cashless transactions. 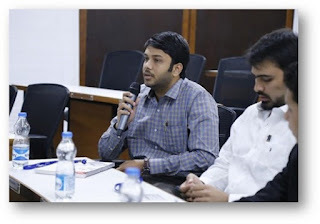 The only problem they raised was the payment for drivers, dhabas, mechanics and other stakeholders which are at the bottom of the transport eco-system. As cashless facilities have still not been practiced amongst them. 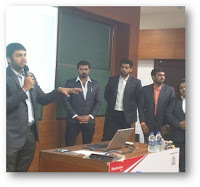 This was also an opportunity for few transporters who still have not yet explored the cashless transaction process in their firm and interacting with other batch mates have surely given them ideas on how to get this initiated for their business. 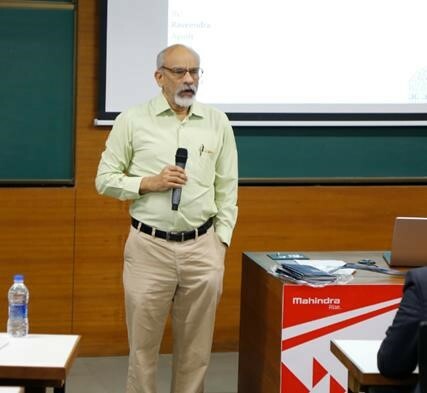 Highlights: Rivigo was about to become the second largest fleet owner in the trucking business in India, in just over two years, with their innovative solutions they could cut down the long haul delivery times by about 50%. Rivigo achieved this by using a relay system in which the drivers changed every 5-6 hours at a ‘pit stop’, thus keeping the vehicle on the move even as drivers signed off to take rest. 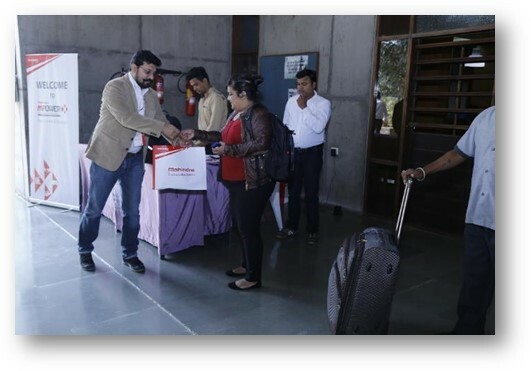 With this innovation in transportation, Rivigo addressed poor service levels, poor transit time, unreliability, uncertainty of return loads, shortage of drivers and lack of information to the customers on their consignment. This increased their customer base with 20-25% premium on freight. 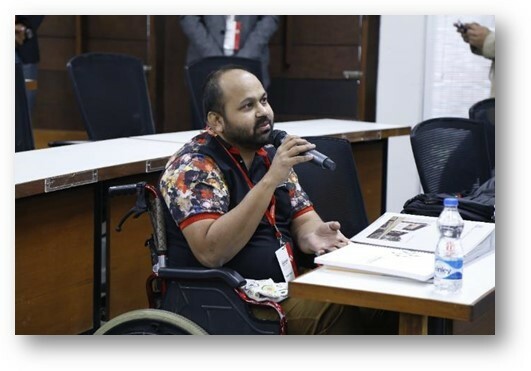 Mr. Kapish Saraf – Business head – VYOM, was there as a special guest to analysis the case studies presented by MPOWER XI participants. 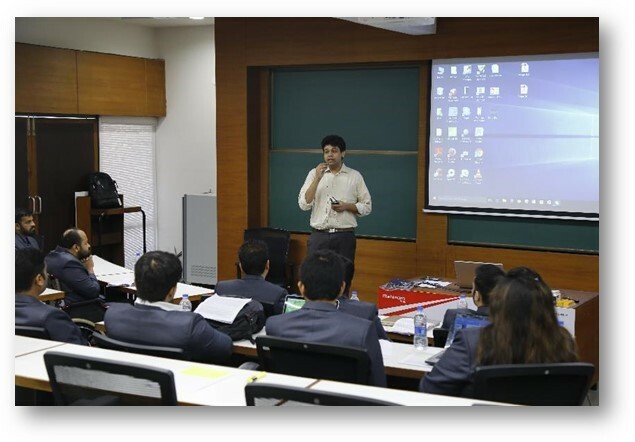 Post all the group presentations, Prof. Debjit and Prof. Raghuram shared their view on each group’s topic and presentations. 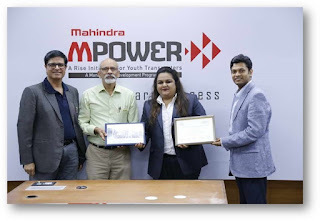 The much awaited Valedictory Started giving MPOWER certificates to all the 13 participants. your blog informations are really creative and It contains full of new innovative ideas.thank you for sharing with us.please update more data.